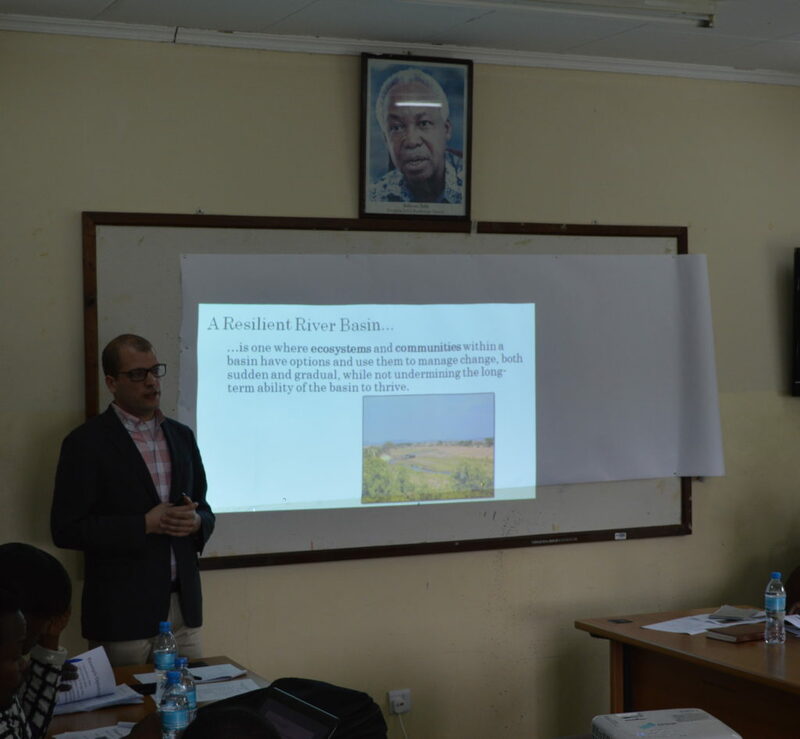 The Hydrosystems Research Group traveled to Tanzania to conduct stakeholder workshops in the Rufiji and Wami-Ruvu basins to advance the ongoing Freshwater Resilience by Design work in the country. The mission team consisted of Alec Bernstein and Jonathan Lala (consultant) and a World Bank team of DC and Dar es Salaam based Water Resources Management Specialists. The mission team worked closely with the Ministry of Water and Irrigation (MOWI) and Rufiji and Wami-Ruvu Basin Water Boards (BWBs) to arrange logistics and convene stakeholders for these meetings. The project mission commenced on Thursday January 18th in Dodoma, the capital of Tanzania in the Wami-Ruvu basin, continued to Iringa in the Rufiji Basin, and concluded in Dar es Salaam on January 24th. Alec Bernstein presenting the Freshwater Resilience by Design methodology to the Rufiji basin stakeholders. 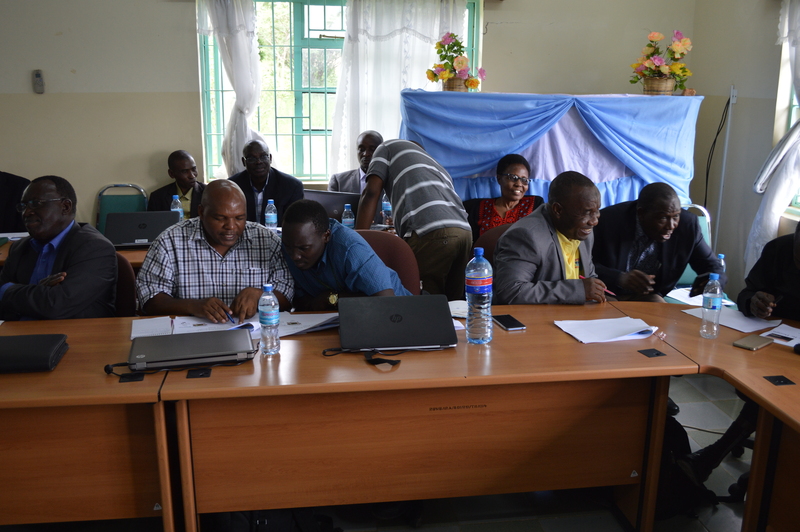 Workshops for the Rufiji and Wami-Ruvu basins were held with members of MOWI, the BWBs, and key stakeholders representing a diverse group of sectors with water interests in the basin. The workshops consisted of a background presentation on the freshwater design methodology followed by breakout sessions. The breakout sessions were centered around four themes of discussion: 1) Issues in the basin related to water resources, 2) future unknowns and uncertainties in the basin, 3) metrics to determine what a successful basin looks like and 4) out-of-the-box options to mitigate issues. The discussions were very productive, particularly in highlighting problems these stakeholders have with current water management practices within each basin. 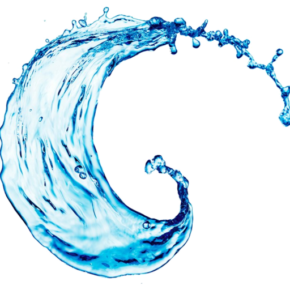 More effective water management was a strong underlying theme among possible solutions; dams and other physical infrastructure were only one of many proposed solutions. In each basin, the HRG also had an opportunity to meet with the technical modelers from each BWB. These meetings were detail oriented and provided an opportunity to share modeling frameworks, data and fill in any missing gaps. 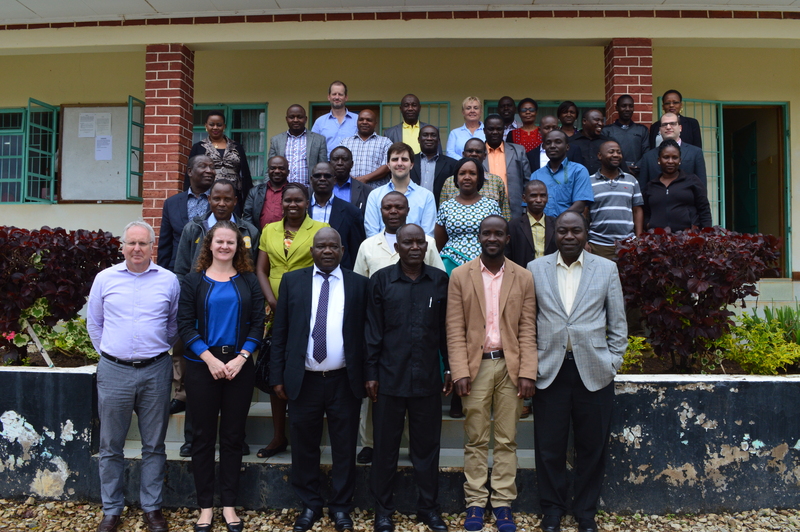 Following the mission, the HRG will host one member from each the Rufiji and Wami-Ruvu basins to Amherst for a week-long collaborative modeling working session in March. This will encourage collaboration between the BWBs and build technical capacity for the Freshwater Resilience by Design framework in Tanzania. The HRG will follow up with a mission in April to present preliminary results from these modeling efforts.